Several special programs will be held at various public libraries and other locations throughout July and August 2015, tied in to the themes and subjects of Americanah. Programs and events are still being finalized as we announce this year’s title — keep watching this web site for further details. Or follow us on the One Book One Lincoln Facebook page, Twitter, the One Book One Lincoln e-mail list or the One Book One Lincoln Blog (returned soon) for the latest updates about special programming. Also check our Discussion Groups page for additional public One Book – One Lincoln-related events! All events are free and open to the public, and we encourage you to attend! 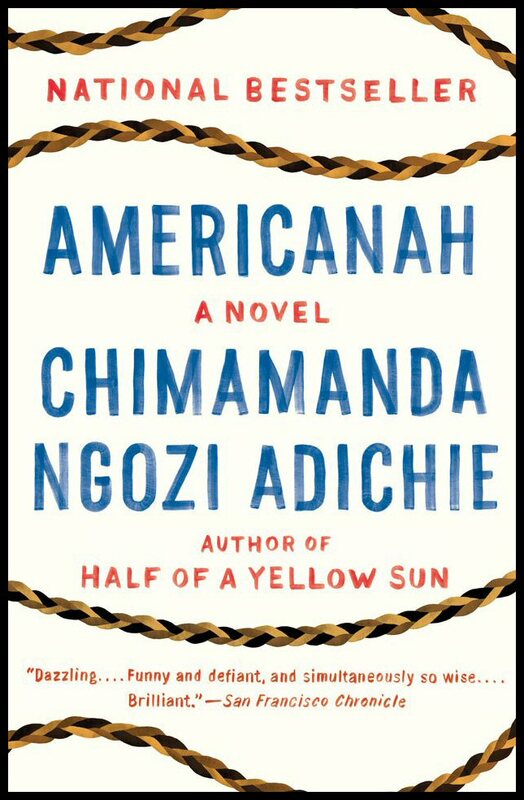 Sunday, August 9th, 2:00 p.m.
Alice Kang, UNL Professor of Ethnic Studies; Associate professors, Dawne Curry and Kwakiutl Dreher, Liaison for African and African-American Studies; will discuss and provide an African perspective on the 2015 One Book – One Lincoln title AMERICANAH by Nigerian author, Chimamanda Ngozi Adichie. Sunday, September 20th, 3:00 p.m. Stories of African immigration will compare the single story in Americanah to the story of four African immigrants to Lincoln. A richer understanding will be gained as immigrants compare and contrast their single stories with that of Iphemelu in Americanah. Sunday, October 11th, 2:00 p.m. – 4:00 p.m. This hands-on workshop will use late 1800s records to track a southern family, creating the family’s pedigree chart. Bring your laptop and do your own online searches or work with the class with paper and pencil. Printed record handouts will be provided. Sunday, October 18, 2:00 p.m. This discussion will consider the notion of what an “Americanah” is as Chimamanda explores it and as it is explored in Mr. and Mrs. Doctor. It will also consider what it means to be a Nebraskanah. Julie Iromuanya, author of Mr. and Mrs. Doctor (Coffee House Press), is a writer, scholar, and educator. Born and raised in the American Midwest, she is the daughter of Igbo Nigerian immigrants. Her creative writing has also appeared in The Kenyon Review, Passages North, the Cream City Review, and the Tampa Review, among other journals. Her scholarly-critical work most recently appears in Converging Identities: Blackness in the Modern Diaspora (Carolina Academic Press). Mr. and Mrs. Doctor is her first novel. Follow the Lincoln City Libraries’ general Twitter feed to see regular news announcements about One Book – One Lincoln events and discussions. See video versions of some of the past One Book – One Lincoln events and discussions.